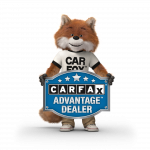 BUY WITH CONFIDENCE: All of our Vehicles Include a Complementary warranty * 7 day No Hassle Exchange* and far sur Passes Maryland state inspection. That is why Affordable Auto Maryland is one of the top Pre-Owned dealerships in Maryland. Providing quality vehicles at affordable prices most under $7995. Many different Makes and Models to choose from the most competitive prices in the region. All of our vehicles go through Maryland state inspection and then are looked over well beyond the Maryland state inspection to make sure you get the highest quality pre-owned vehicle. We stand behind all of our cars and take pride in the product we sell. Thank you for considering Affordable Auto Maryland. Serving Pre-Owned Cars, Trucks, and SUV’S to Carroll County, Howard County, Frederick County, Baltimore County, Baltimore City, Westminster, Finksburg, Gamber, Hampstead, Eldersburg, Sykesville, Reisterstown, Taneytown, Frederick, Mount Airy, Clarksville, Ellicott City, Columbia, Middletown, Walkersville, Urbana, New Market, Monrovia, Clarksburg, Olney, Lisbon, Baltimore, Thurmont, Gettysburg, Hanover, Gaithersburg, Germantown, Damascus, Washington DC, and All 50 States. The Highest Quality Used Cars around and most friendly staff.